A medical marijuana doctor is one of the important people when it comes to helping the marijuana patients. He or she has to be licensed in the country he or she is operating in. this is because various countries require them to. If a doctor is not licensed, she or he may be going against the legal medical laws that need to be followed by these doctors. 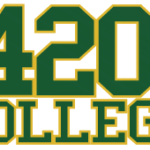 Apart from all this, 420 College always advise those marijuana patients to always make sure that a medical marijuana doctor is aware of the therapies a patient is using in order to be in a position to manage the pain a patient is going through. Apart from this, the patient should also have a proper relationship with the doctor in order to gain from him or her. 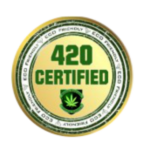 Due to the fact that this doctor may not be having the right kind of information concerning marijuana, is always advisable for the patient to always give the right information to this medical marijuana doctor to ease treatment.